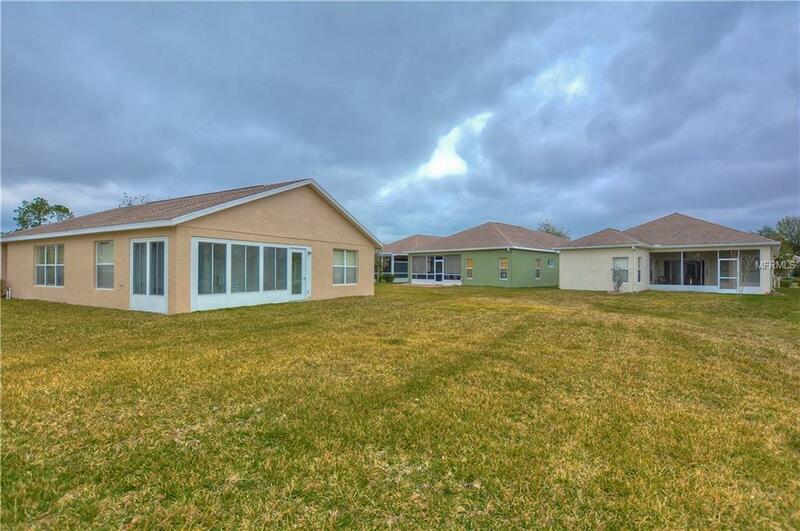 MOVE-IN READY MAINTENANCE-FREE VILLA STYLE HOME with 2 bedrooms/2 baths plus den/office in the GATED/GOLF COMMUNITY of Plantation Palms. 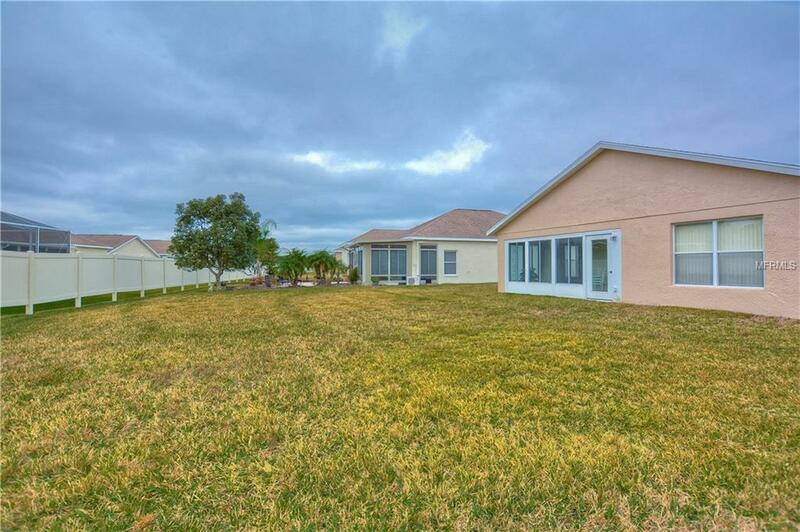 Spacious and open floor plan has plenty of natural light that lives larger than its 1341 square feet. Rear porch, approximately 120 square feet, has been enclosed with glass and screen windows so that the outdoors can be enjoyed - rain or shine. 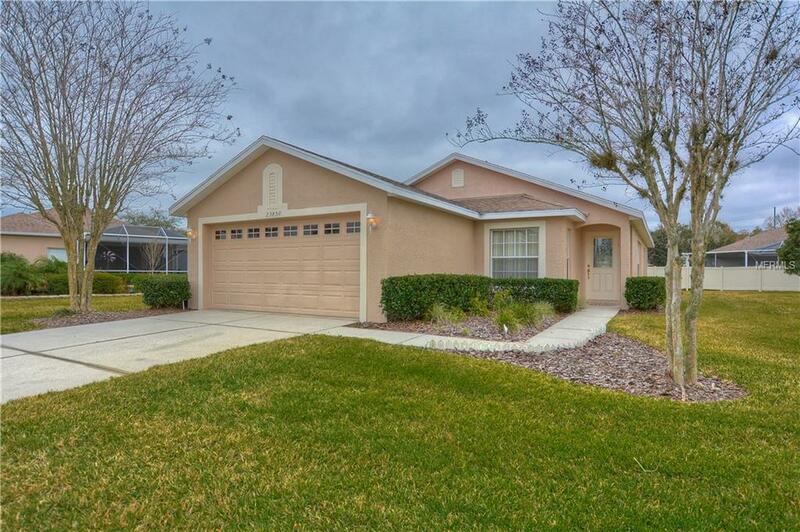 Great Room with vaulted ceiling and Eat-in Kitchen with breakfast bar are at the center of the home and maximize living space for ease in entertaining. The split bedroom plan offers privacy and convenient Den/Office with French doors is located just off the foyer. NEW A/C 2013!! Laminate flooring in Great Room area and Den/Office. Master Bedroom features a large picture window and vaulted ceiling. Master Bath has walk-in shower, a large walk-in closet and linen closet. Inside utility room complete with storage cabinets and WASHER/DRYER STAY! This home is ready for all your personal touches! Semi-Annual Master Association Fee to Plantation Palms Homeowners Association. Monthly maintenance fee for villas in The Reserve includes pool, grounds and exterior maintenance, exterior painting, roof, and irrigation repairs. Plantation Palms Golf Club has membership opportunities for an additional fee. Pro Shop and popular Mulligan's Pub located on premises. NO CDD!! 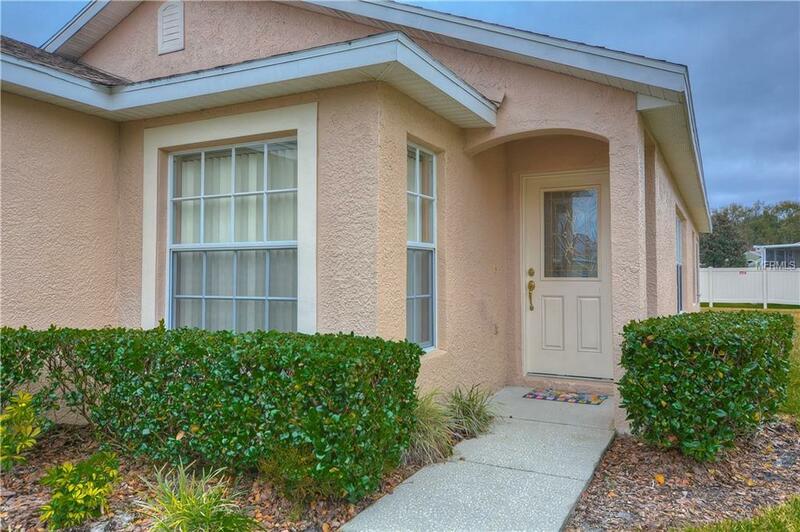 Easy access to I-75, Veteran's/Suncoast Expressway, Wiregrass Mall, Tampa Premium Outlet Mall, area restaurants, shops, hospitals and library. Amenities Additional Fees Plantation Palms Golf Club Has Optional Membership Fees.